People of all ages with the desire to live a healthier lifestyle! Throughout history essential oils have been used in many cultures for their therapeutic benefits. Modern trends towards more holistic approaches to self care and growing scientific validation of alternative health practices are driving a rediscovery of essential oils. Essential oils have become an indispensable tool in our daily lives. From supporting health and wellness, to washing my produce, cooking, having clean and great smelling laundry, cleaning around the house, taking care of pets, and gardening – we use the highest quality grade essential oils. From my seven year old nice to my eighty year old mother, we all use essential oils in one form or another to live better, healthier, and happier. Where to Start if you are new to using Essential Oils? Using essential oils is intuitively simple and highly satisfying. However, the many oils available with their numberless combinations and applications can be a bit overwhelming to beginners. People have the best experiences with essential oils when they have someone to guide them who has knowledge and experience with essential oils. I’ve been blessed with a chance to help many families, friends, and people who have found me through my website or have attended one of my events or classes. Simple tips on the most effective way to use different essential oils can make all the difference in how we experience the oils and how effective they will be. 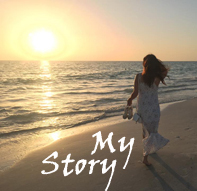 Someone once said to me “Strangers are friends you just haven’t met yet.” If you are visiting my website and have questions about integrating essential oils into your life, simply contact me. I will forever be grateful to the person who introduced essential oils into my life. It put me onto this journey from an essential oil user, to becoming a wellness advocate, to becoming licensed as an Aromatherpist. 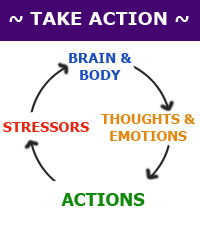 I would love to help you attain the changes in your life you are looking for. My tip for a simple way to start is getting a trio of 100% pure therapeutic grade lavender, lemon and peppermint. Those are three of the most popular oils. They will provide you and your family with a wonderful experience (I have a PDF with 101 Uses for Lemon, Lavender and Peppermint I’ll be happy to email to you). 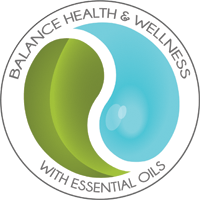 Or if you like to address very specific issues please contact me so you can take advantage of a personal wellness consultation and find essential oils that are right for you to bring back balance where it is needed, thus aiding your body to heal itself. Please contact me to schedule a FREE 30 min Consultation and I’ll be glad to help you get started. Interested in ordering the introductory trio? Click here to order it for only $25 (free shipping). When I was faced with my daughter’s health challenges, I wanted to try a variety of essential oils that would support her in different ways. 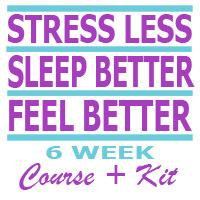 The kit I started with comes with Lavender, Lemon, Peppermint, Frankincense, Melaleuca, Oregano, and four different blends to support the digestive system, the respiratory system, the immune system, and muscles and bones. The whole kit of 5ml bottles each was only $150 (plus shipping and tax) – which also allowed me to purchase other essential oils in the future at a 25% discount. I truly love this kit and would recommend it to anybody getting started with essential oils. If you are interested in ordering it just contact me. I’ll send you a 4 oz bottle of Fractionated Coconut Oil which you can use to dilute essential oils as a free gift. Just contact me. Already Experienced with Using Essential Oils? Discover amazing blends and new single essential oils! Learn to compare the quality grades of different essential oils and how that affects their potency, wellness benefits and safety. Learn the best ways to use essential oils aromatically, topically, and internally. Receive custom blends, made just for you! Please contact me if you are interested in learning more and diving deeper into maximizing the benefits of essential oils. 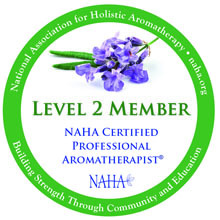 As a NAHA Certified Professional Aromatherapist®, Scarlet Strapko offers guidance and education, identifying the best single essential oils, essential oil blends, and custom creates personalized essential oil products, supporting YOUR physical health, emotional wellbeing, and ability to effectively reduce stress. Learn how to best integrate essential oils and essential oil based products into your daily routines to experience sustained benefits. Disclaimer: The statements made on this website have not been evaluated by the FDA. The information presented is for educational purposes only and not intended to diagnose, treat, cure or prevent any disease, illness or injured condition of the body. It is in no way intended as a substitute for medical counseling. Anyone with a disease, illness, injury or medical condition should consult a qualified health care professional. Follow Me on FACEBOOK and Twitter for tips & updates! Copyright © 2013 - 2019 MediaFocus International, LLC. All Rights Reserved.